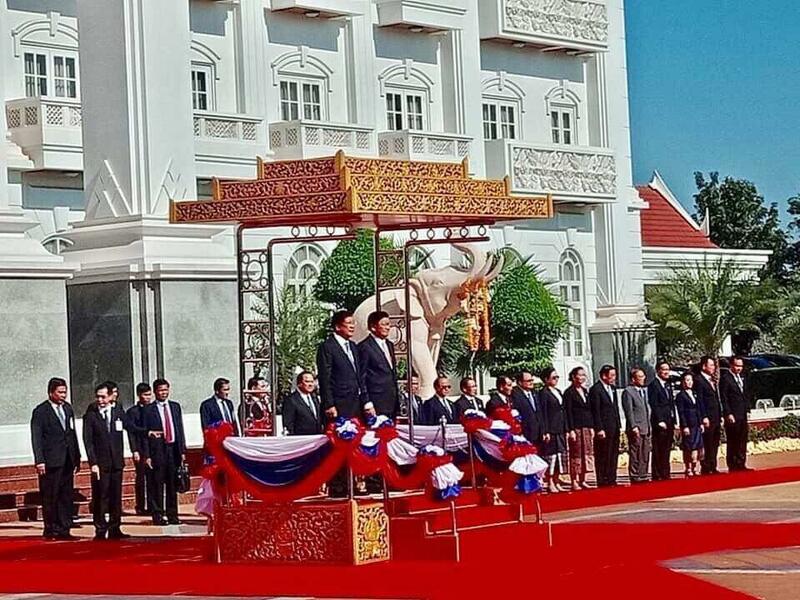 Laos (FN), Dec. 5 – Cambodian Prime Minister Hun Sen and Lao Prime Minister Thongloun Sisoulith, on Wednesday noon, held a joint press conference to further strengthen and expand Cambodia-Laos friendship. 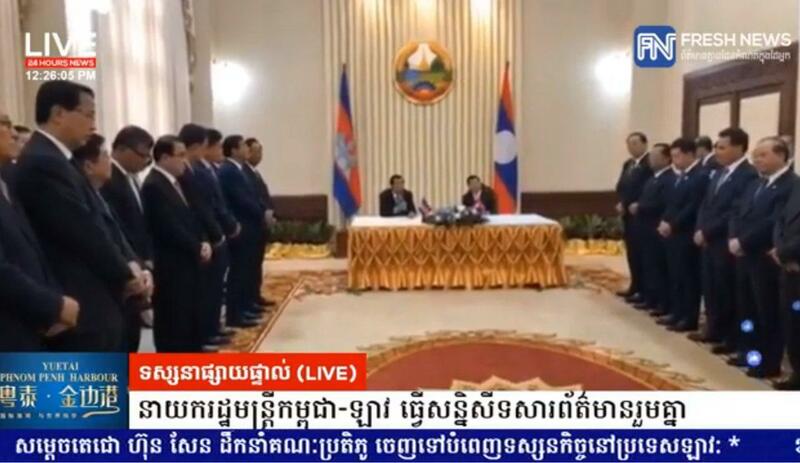 At the press conference, the two Prime Ministers agreed on three principles for the O’ Alay and O’ Ta Ngav as follows: (a) no armed forces of the two countries at the border, (a) no business or investment at the border, and (c) hold joint inspection on land, water, and air issues. 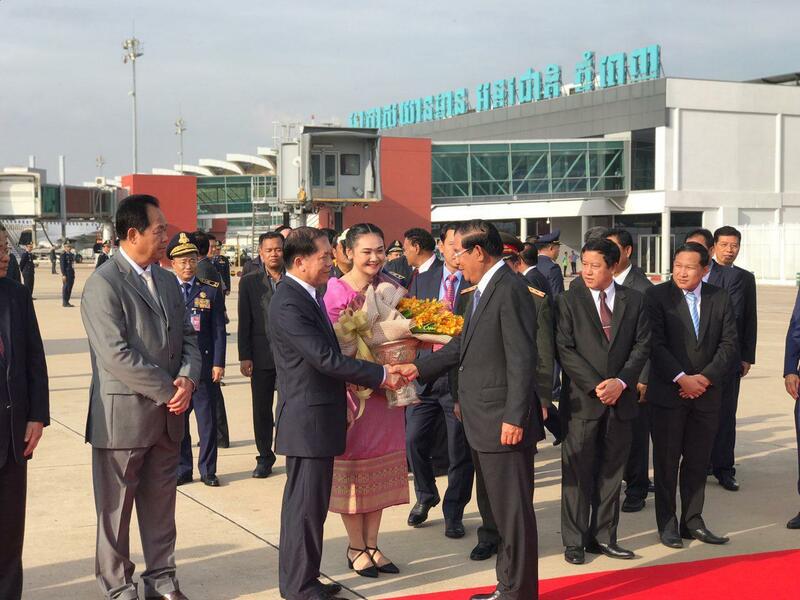 According to Prime Minister Hun Sen, both sides will discuss the border issue to draft documents in order to send to France. 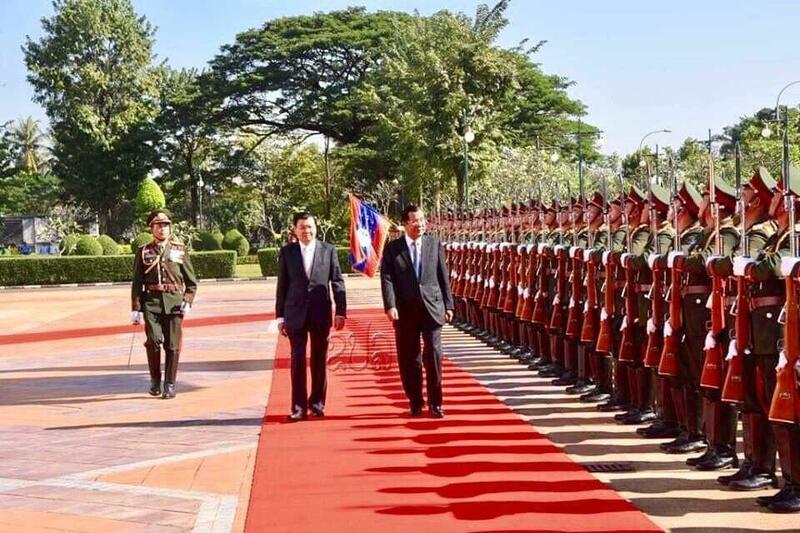 He added that the two foreign ministers must first prepare technical procedures for the French side to transfer a map-Bonne 1/100,000 to the 1/50,000 UTM map, and request France to provide documents related to the border issues between Cambodia and Laos, especially the remaining 16 per cent of the area. Cambodia and Laos share a common border of 540 kilometres. 86 percent or 464.5 kilometres of the borderline has been already examined and 121 of the total 145 border markers have been so far planted. 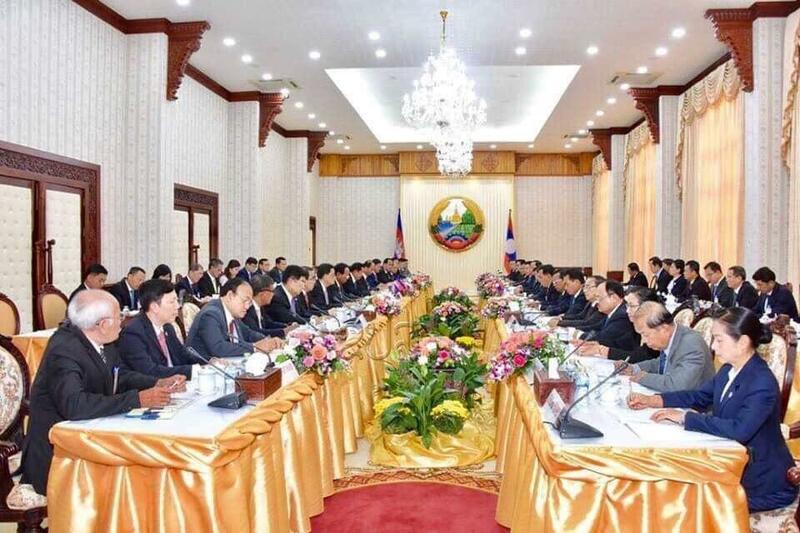 Cambodia-Laos also agreed to build bridges connecting Preah Vihear and Champasak provinces, located in southwestern Laos, to facilitate the travel of the people. 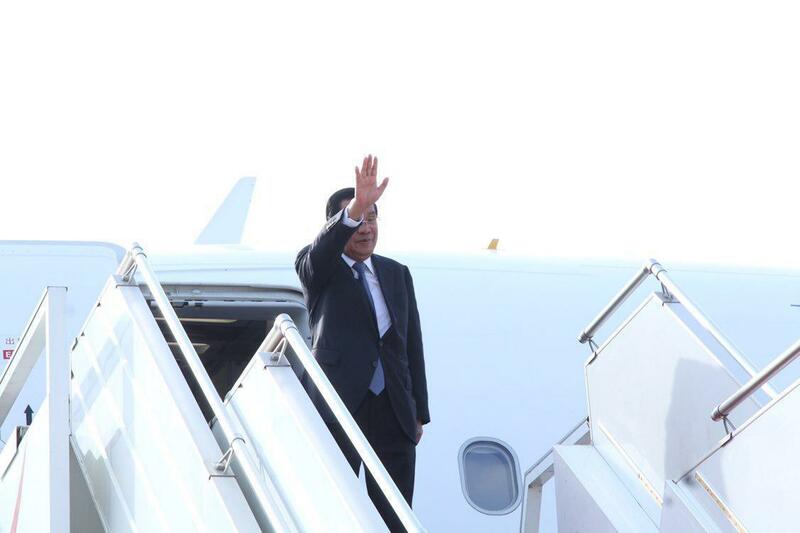 It is worth noting that Cambodian Prime Minister Hun Sen led a high delegation to pay a two-day official visit to Lao PDR from 5-6 December 2018 at the invitation of Lao Prime Minister Thongloun Sisoulith. 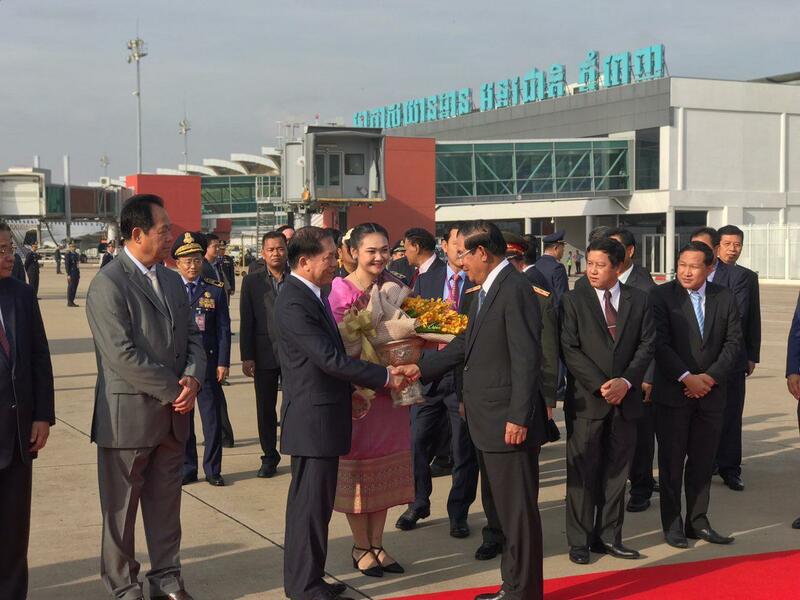 During the visit, the premier will pay a courtesy visit with Bounnhang Vorachith, President of the Lao PDR, and H.E. Mrs. Pany Yathotou, President of the Lao National Assembly, according to the foreign affairs ministry’s press release dated 3 December.